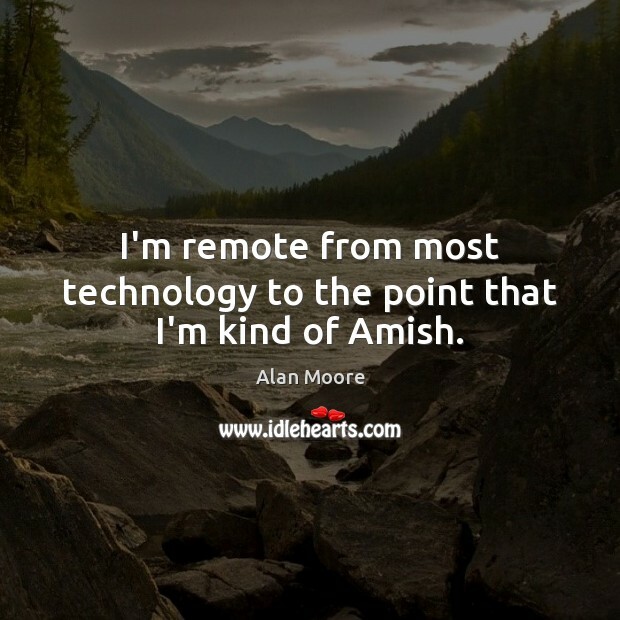 Enjoy the best inspirational, motivational, positive, funny and famous quotes by Alan Moore. Use words and picture quotations to push forward and inspire you keep going in life! 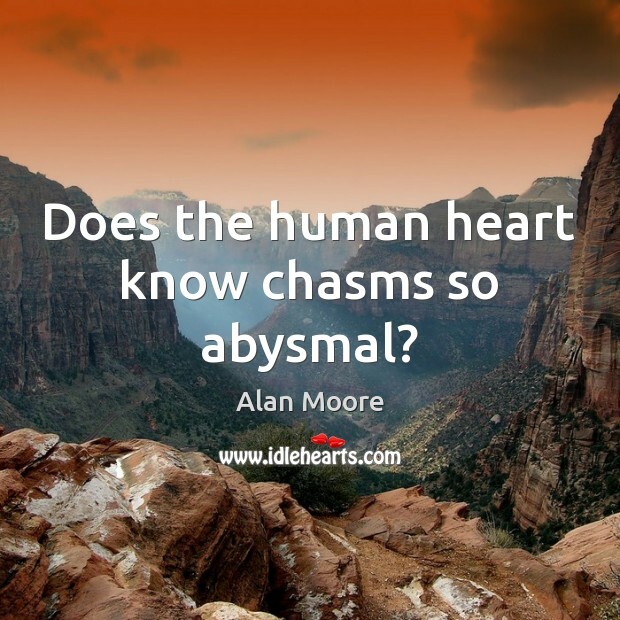 Does the human heart know chasms so abysmal? 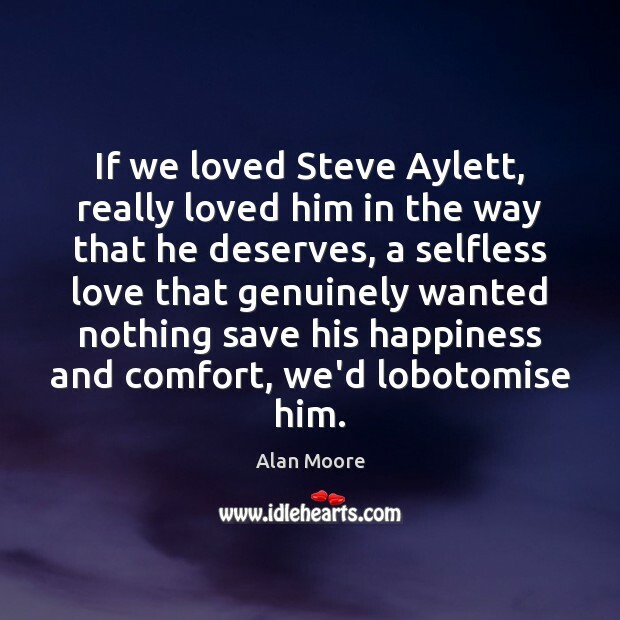 If we loved Steve Aylett, really loved him in the way that he deserves, a selfless love that genuinely wanted nothing save his happiness and comfort, we'd lobotomise him. 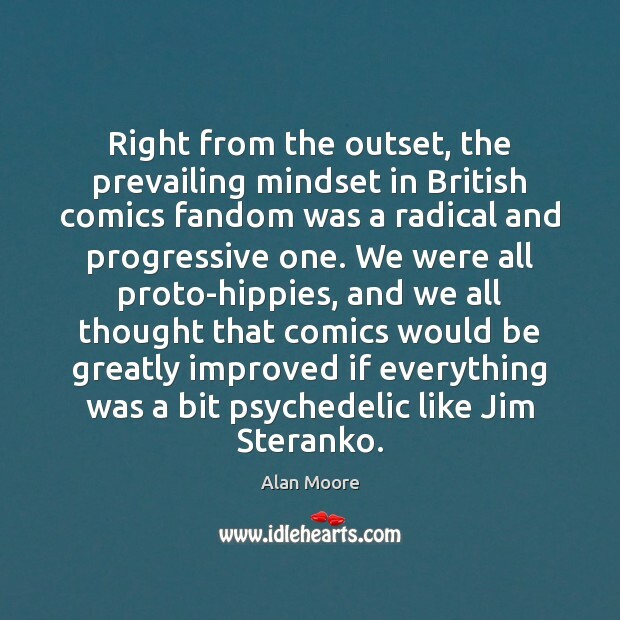 There has been a rather unpleasant sensibility apparent in Frank Miller's work for quite a long time. 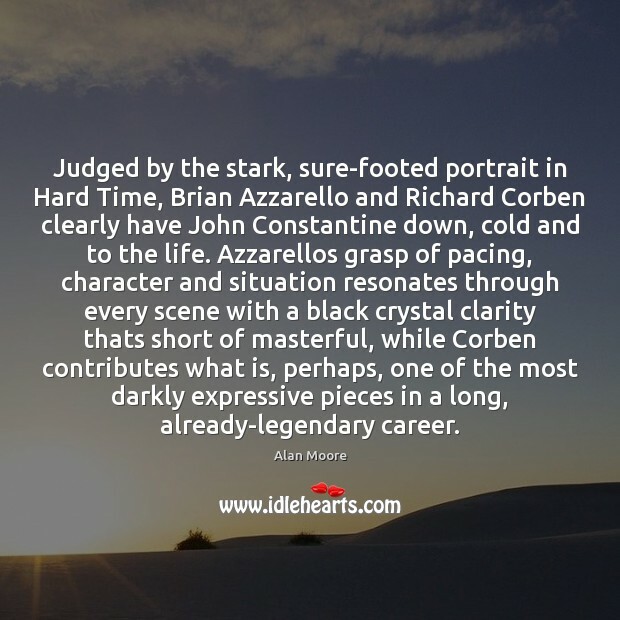 Judged by the stark, sure-footed portrait in Hard Time, Brian Azzarello and Richard Corben clearly have John Constantine down, cold and to the life. Azzarellos grasp of pacing, character and situation resonates through every scene with a black crystal clarity thats short of masterful, while Corben contributes what is, perhaps, one of the most darkly expressive pieces in a long, already-legendary career. Memory's so treacherous. 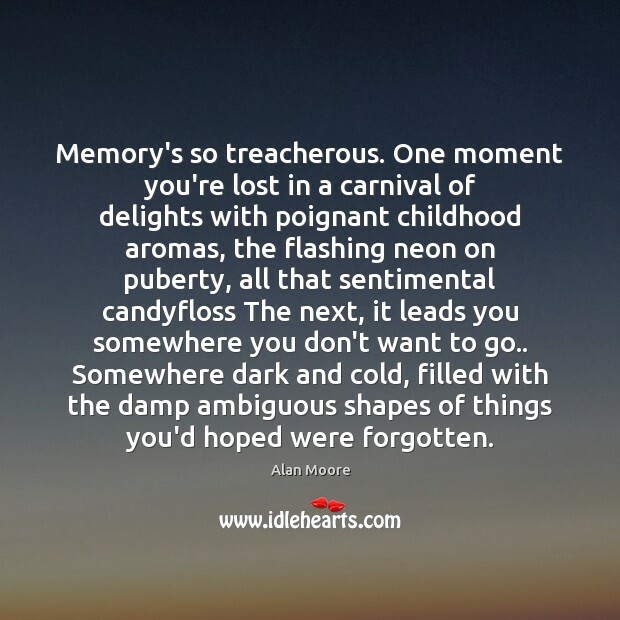 One moment you're lost in a carnival of delights with poignant childhood aromas, the flashing neon on puberty, all that sentimental candyfloss The next, it leads you somewhere you don't want to go.. Somewhere dark and cold, filled with the damp ambiguous shapes of things you'd hoped were forgotten. 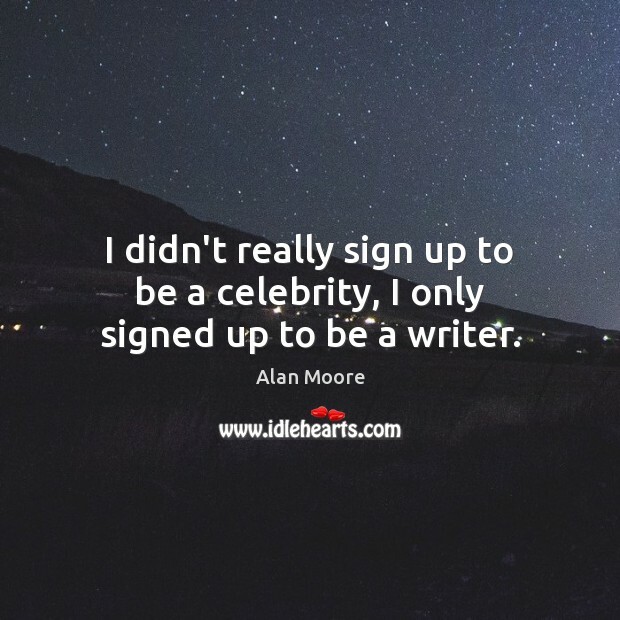 I didn't really sign up to be a celebrity, I only signed up to be a writer. It's early days. 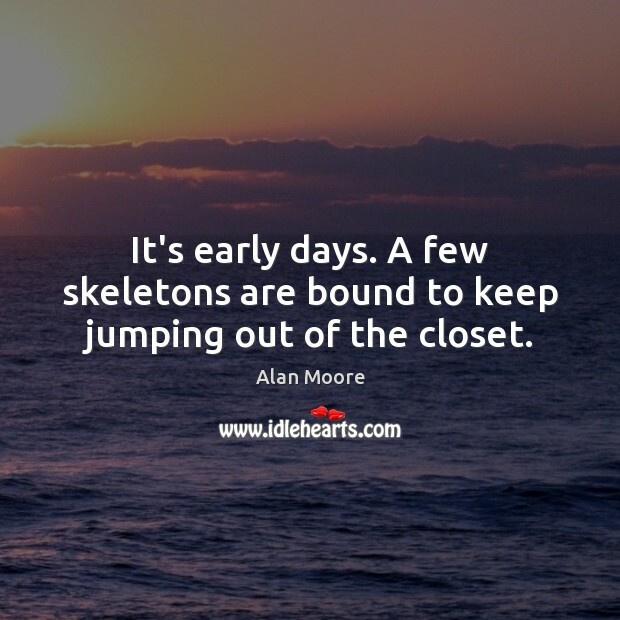 A few skeletons are bound to keep jumping out of the closet. I'm 65 years old. Everyday the future looks a little bit darker. 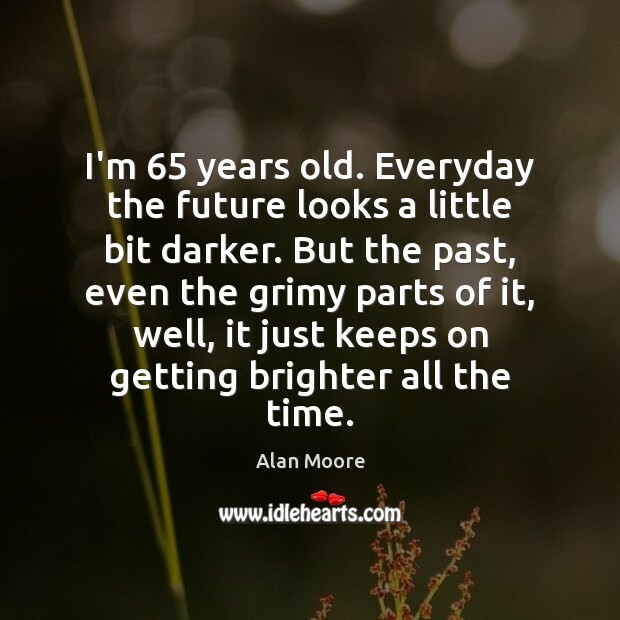 But the past, even the grimy parts of it, well, it just keeps on getting brighter all the time. 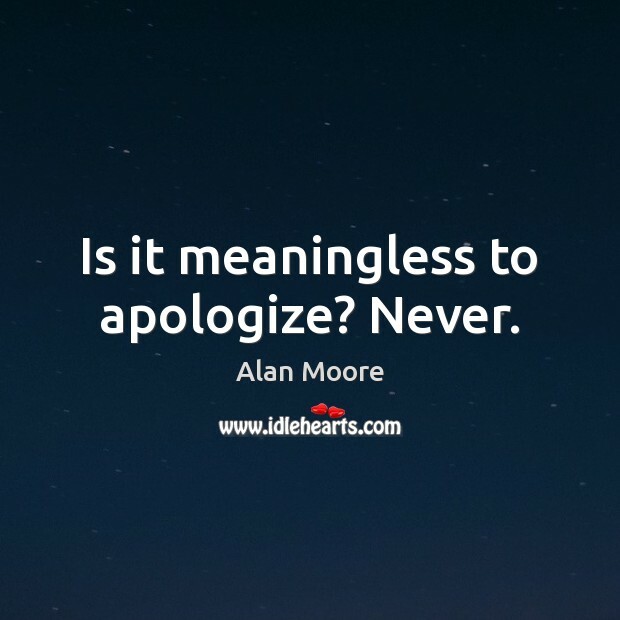 Is it meaningless to apologize? Never. 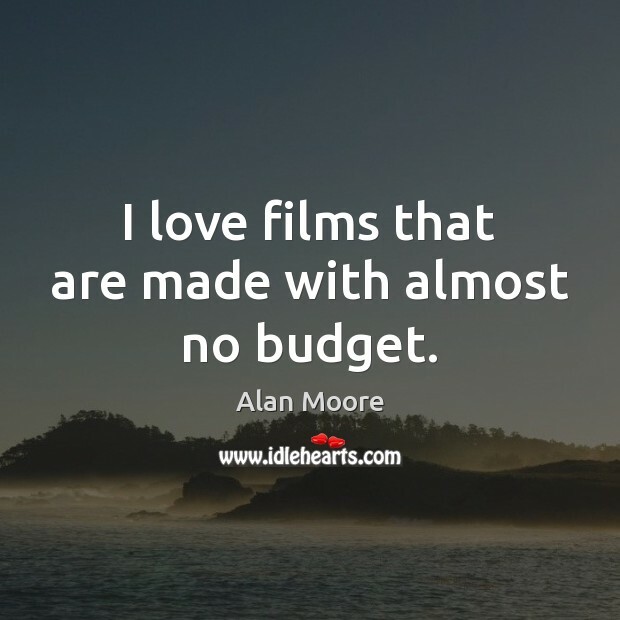 I have so very much. 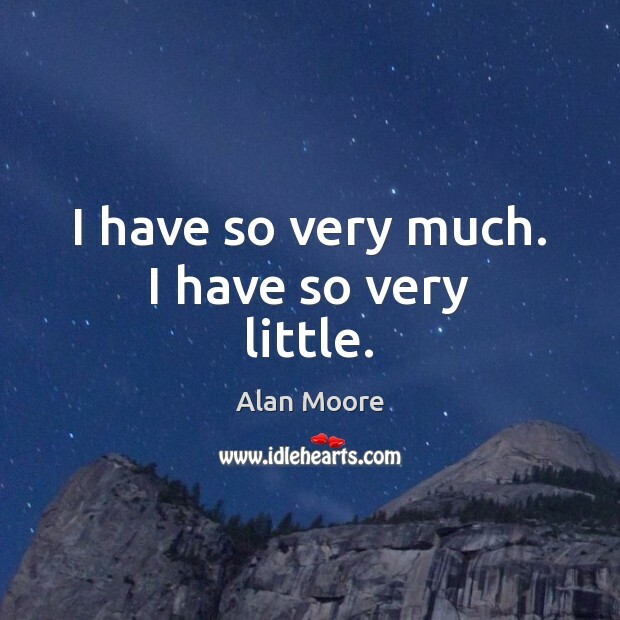 I have so very little. 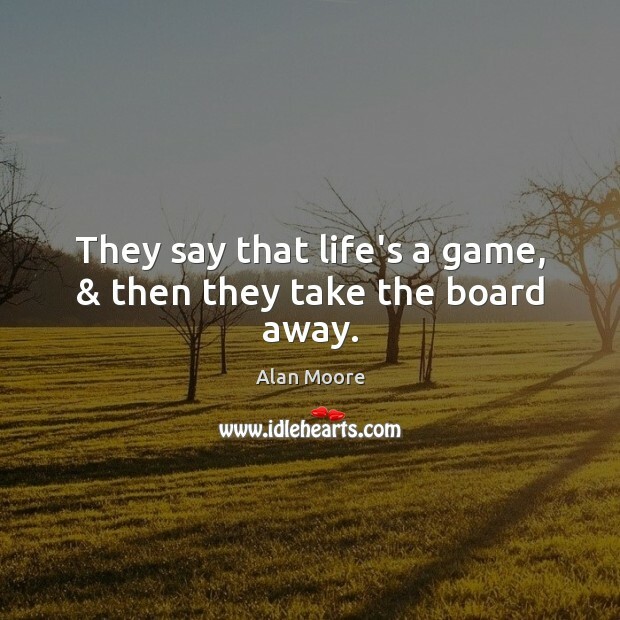 They say that life's a game, & then they take the board away. 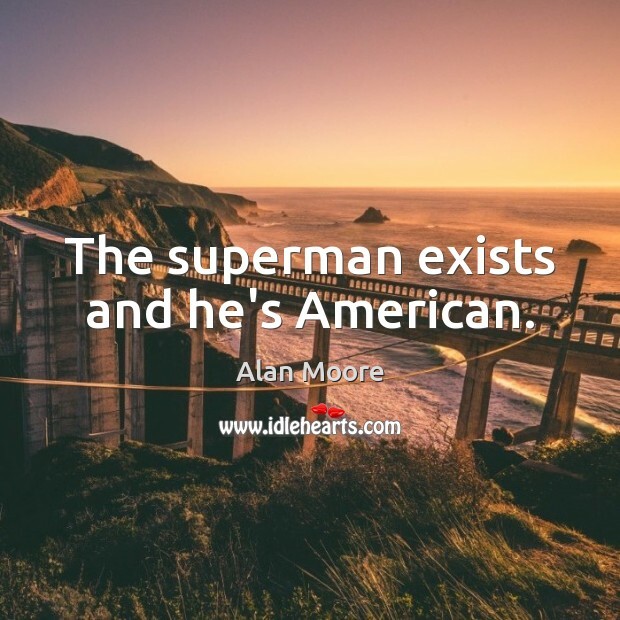 The superman exists and he's American. 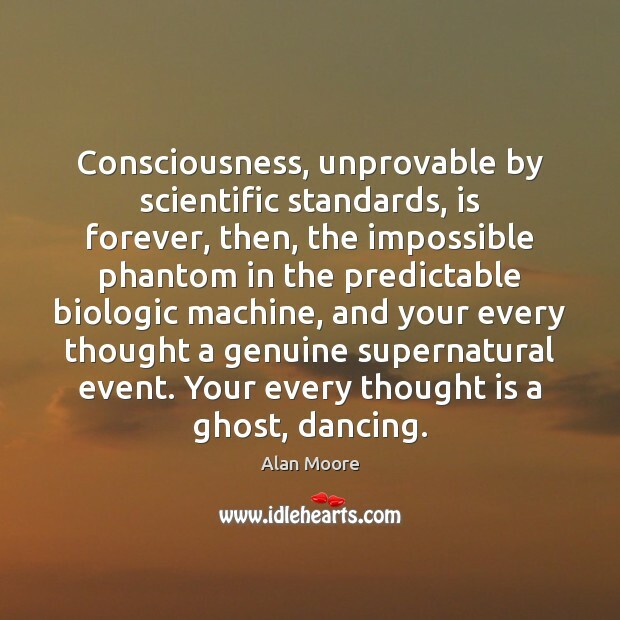 Consciousness, unprovable by scientific standards, is forever, then, the impossible phantom in the predictable biologic machine, and your every thought a genuine supernatural event. 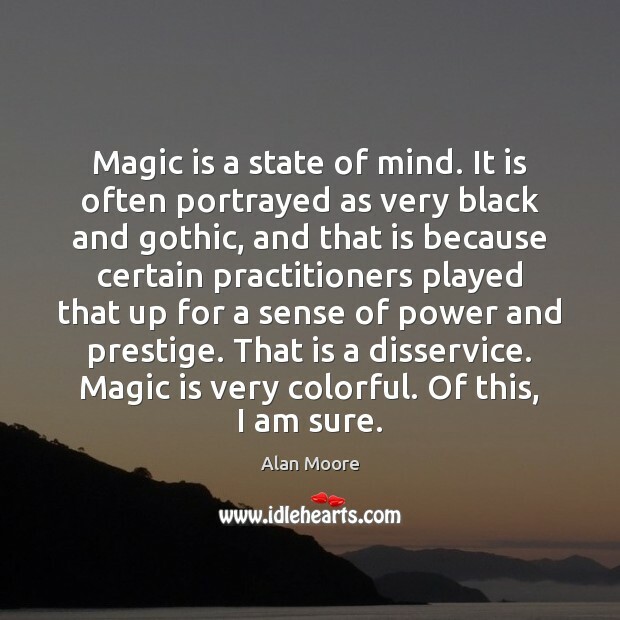 Your every thought is a ghost, dancing.